Our moss green woollen ties are milled, lined and hand finished in the UK and are of very fine quality. A classic men's accessory for any occasion. Classic neckwear for any occasion. Classic neckwear for any occasion, made from 100% soft wool. 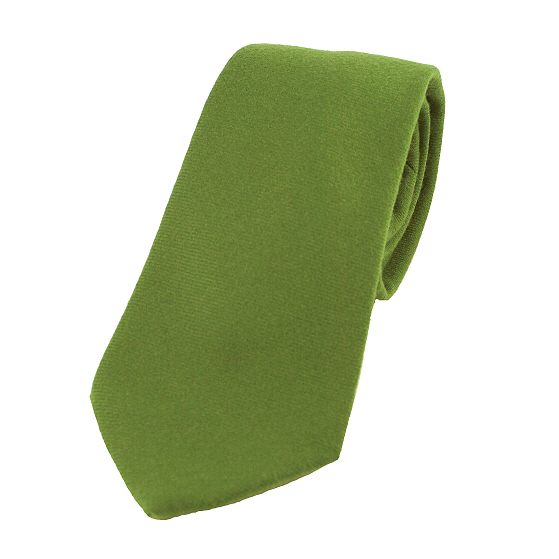 An apple green wool knitted tie with a lightly raised stitch pattern and a neat square end.